WOW! recently announced the winners of our Essay Contest and we are proud to announce Ashley Memory from Asheboro, North Carolina as one of the runners up with I know What She's Thinking. When she’s not marveling at the antics of the lizards on her apricot tree, Ashley Memory is either making raspberry jam or writing poetry, essays, or fiction. While she does occasionally pinch a juicy magazine from a waiting room, she returns them eventually and frequently donates her own. Ashley is a Pushcart Prize nominee and a two-time winner of the Doris Betts Fiction Prize sponsored by the N.C. Writer’s Network. Her first novel, Naked and Hungry, was named a finalist in the James Jones First Novel Fellowship Competition and was published by Ingalls Publishing Group in 2011. 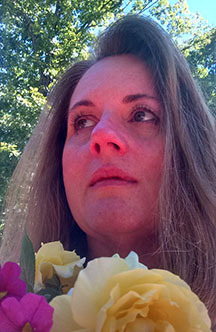 Her poetry and prose have appeared in The Thomas Wolfe Review, Wildlife in North Carolina, Romantic Homes, Brilliant Flash Fiction, and most recently in The Gyroscope Review, The Hardball Times, and The Collection: Flash Fiction for Flash Memory. Her story “Party Etiquette for Insects Recently Transformed into People,” earned honorable mention in the WOW Summer 2017 Flash Fiction Contest. Since taking early retirement from her marketing job with the University of North Carolina at Chapel Hill, she is a part-time instructor for Central Carolina Community College’s Creative Writing Program in Pittsboro, N.C.
For more information, please follow Ashley on her blog. WOW: It's such a pleasure to have you here today Ashley- thank you for taking time out of your busy schedule to sit down and chat! I enjoyed your essay as well as the opportunity to learn more about you. I understand you are now retired (but still working part time) – so I have to ask: how do you juggle a busy career and your passion and love of writing? What advice do you give others who may struggle with time management? Ashley: My husband Johnpaul and I are actually building our house – literally, from driving the nails to doing the wiring – so I’m busy in quite another way these days. Oddly, I find the act of doing something like pushing a wheelbarrow to be compatible with writing. In fact, I’ve worked out several plot lines while engaged in physical labor. It occupies my active mind so my unconscious mind is free to do its magic. Being retired from a paying job, I know that other people are far busier than I am! If, however, I have any advice to offer, I would encourage other writers to take advantage of the brief kind of moments everybody has. Instead of waiting for a large chunk of time to suddenly appear, use the time in the doctor’s waiting room or the five minutes in a staff meeting where you’re waiting for your boss to show up, to jot down a new metaphor or a snippet of random conversation. It will pay off later! If my co-workers ever peeked inside the folder I carried around with me to meetings, I think they’d be surprised at what they found. WOW: How exciting and what a great opportunity for you and your husband - it's like the ultimate team building experience! Tell us about Naked and Hungry – since it was your first novel, may I ask what you wish you had done differently? What did you do that you absolutely would NOT change when it comes to publishing? Ashley: It was very exciting when one of the 18 publishers I sent the manuscript to accepted it for publication. The company was very small but they did have a whip-smart editor who helped me tremendously during the final revisions. However, because it was a small press, I agreed to handle much of the promotion myself. This work, while working full-time and launching a cooking website, nearly killed me. It was my own fault but what was I thinking? Because the book was written from a male point of view and inspired by my father, we ended up spending a lot of time together. I could not have written it without his encouragement and guidance, and the time we spent together was very special to me. I wouldn’t give up that for the world. 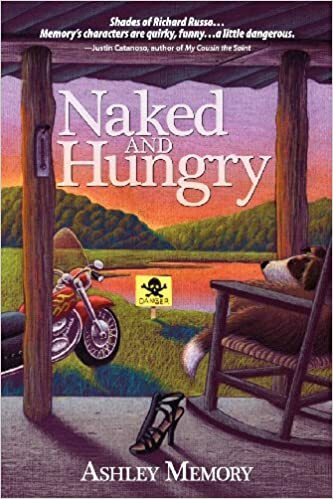 Also, although Naked and Hungry had a primary point of view, I made the decision to include a few chapters from the mindset of minor characters. This work, while challenging at times, proved invaluable when it came to weaving together the strings of an intricate plot. The work of a writer is ultimately solitary, but surrounded by all those quirky characters, I never felt lonely. WOW: Sounds like an enlightening process and I have a feeling there will be more to come? What’s next for you? What are your writing goals for 2018 and beyond? Ashley: Be the best writer I can be. It’s as simple as that. If I continue to strengthen my writing, I’m betting that project goals – whether it’s to write an essay, poem, short story, whatever – will sort themselves out. I consider myself a perpetual student of life and need to learn in order to continue to grow. So this year, I’ll be continuing to read the best work out there (new authors as well as re-reading the classics) and to take classes. I’m actually taking a WOW! nonfiction class led by Chelsey Clammer right now and loving it. WOW: There will be no moss growing as you may be retired, yet you are quite the rolling stone. 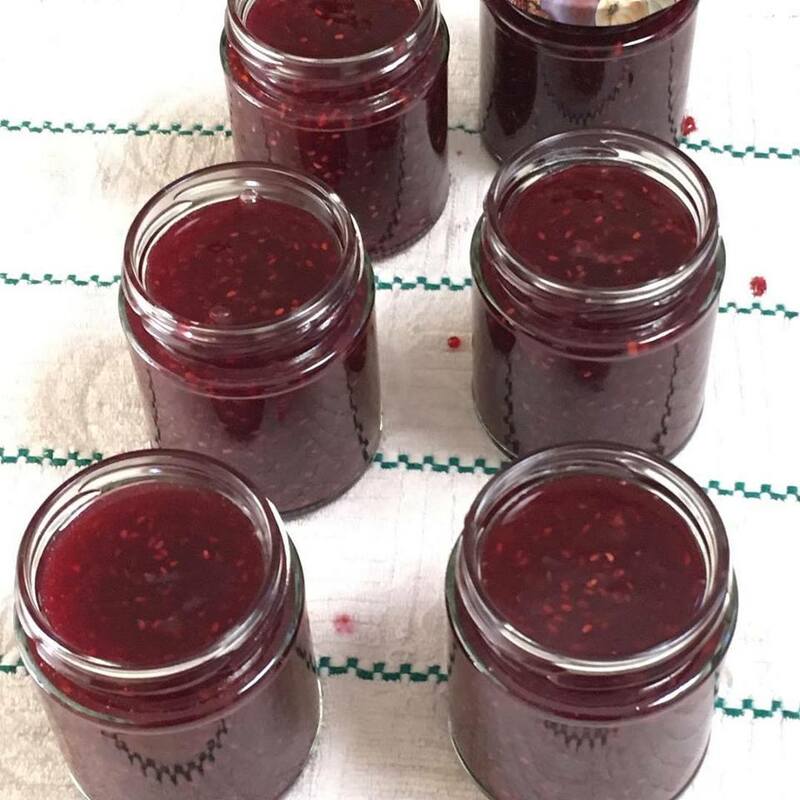 I enjoyed your bio and have to say: I am also very interested in cooking/baking and making all things delicious, so please tell us how you came to make your own raspberry jam and share your recipe if you are willing? Ashley: One of the reasons I married my husband is because he asked: “Have you ever wanted to make jam?” Yes and yes! Yes to jam and yes, months later, when he asked me to marry him. I have always loved cooking and fresh fruit so it was a natural fit. Raspberry jam is one of the easiest and most delicious jams to make. Add two cups of sugar to about 4 cups of fresh raspberries with the juice of one lemon in a large saucepan. Bring it to a boil, and skim off any foam that collects around the edges of the pan. Let it boil for about 5 more minutes. Next, drop a dollop on a frozen saucer and see if the mixture gels. If it does, you’re ready to ladle the mixture into your canning jars and seal them according to the jar manufacturer’s instructions. If not, let it continue to cook for a few more minutes. Quick hint: If you’re going to use the jam right away, or within the next three months, you can just store it in your refrigerator in a plain jar, no processing necessary. Also, because I love the fresh flavor of the fruit, I try not to cook it for longer than necessary, knowing that the thickness of the jam will sometimes vary. What’s great about having homemade jam on hand is that you can use it for things other than spreading it on toast. Try filling your Danishes with it, spreading it on a layer cake, or sandwich it in between butter cookies. Yum. WOW: Sounds fabulous and I can't wait to give your recipe a whirl! Was it difficult coming up with a title for your essay? How did I Know What She’s Thinking come about? Ashley: I shared this essay with my friend Ruth first and I’ll never forget what she said: “Sometimes, Ashley, life just gives you these little gifts.” And the crazy experience that inspired that essay was just one of those gifts. As for the title, it came from the character’s own mouth. I didn’t have to do any work for that at all. But the truth is that we don’t really have to wait for an extraordinary experience. They happen to us every day. We just have to be willing to stop, look and listen. Thank you for this delightful interview (and delicious recipe) and congratulations again as one of the runners up in the WOW! Women on Writing Essay Contest! Ashley--You certainly were handed a gift. That tech was quite a character. Thank you Sioux! And I loved your post -- I have 3 cats and 3 dogs. They inspire me every day. This is such a great interview - because Ashely is so talented! Can't wait to read more from you!